One of our kitesurfers, Dirk, wrote some very nice words about our kitesurfing school! 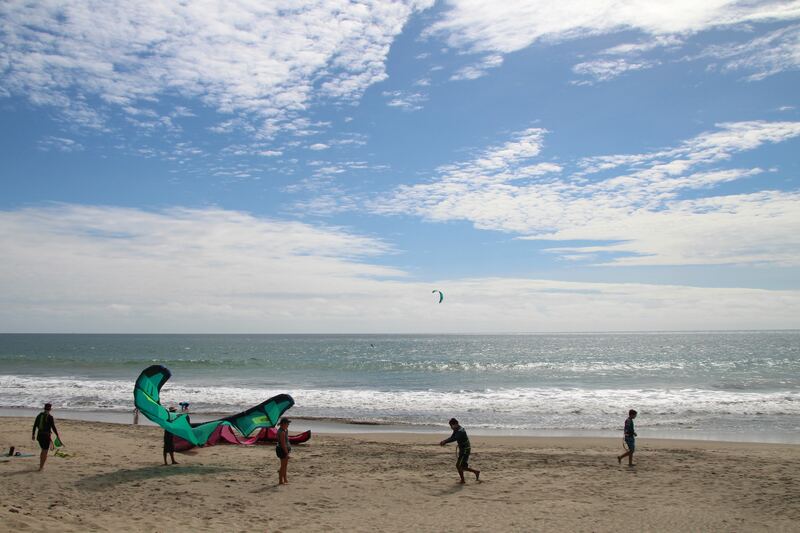 Santa Marianita is a fantastic kitesurfing spot, with a long sandy beach between two points. The side-onshore, flat water conditions in the bay are great for learning, freestyle and foiling, with the shore-break providing great kickers for jumping opportunities. 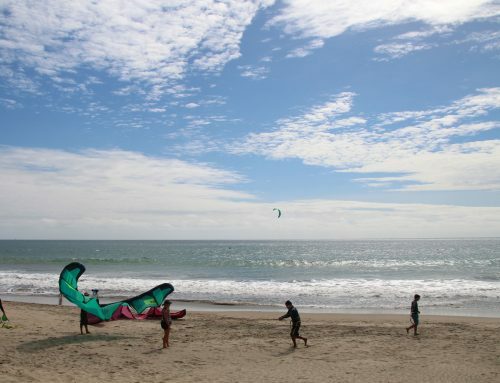 It’s also an excellent wave kiting spot, with two or three different breaks at the point and world-class surfing spot San Mateo just downwind when conditions are right. From June to October, you can kite with humpback whales as they migrate North to mate and give birth to their calves. There are lots of other activities to do either in or near Santa Marianita, like surfing, SUPing, windsurfing, paragliding, deep sea fishing, hiking, biking, golfing and more. Also, if you want to go out at night, EcuaBlue is a local bar under a huge thatched roof with great burgers, wings, pizza, and music. Manta, the largest town nearby, is just 20 minutes away and has more to offer if you are looking for the city-life: restaurants, bars, discos, cinemas, etc. Kite Ecuador is one of the best kite schools I have seen. Javier, the owner, aside from being very patient and methodical, has developed an innovative teaching methodology that produces superb results. The equipment for lessons and rental is brand new North gear. 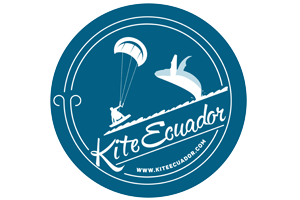 Finally, prices here for everything from kite lessons to food and lodging are very reasonable so all in all, I truly recommend this kite spot and Kite Ecuador for a kiteboarding holiday and for learning to kitesurf. We appreciate the time to write this review, and the kind words. If you’d like to write us a review, here are the links!